These are used to connect the battery to the rest of the starting and charging circuits. The battery cables must be of sufficient size to carry such heavy current as a starting motor will draw about 200 amps of current. 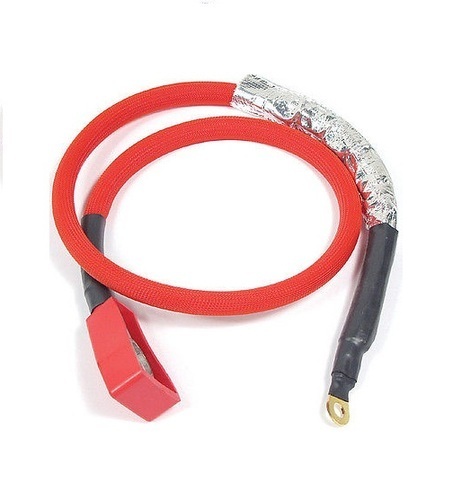 The cables are prone to corroding as they are close to the battery and therefore it is important that the cables make good electrical contact with the cable clamps. Similarly, clamps must make good electrical contact with the battery posts. Any looseness or corrosion could result in high resistance and consequent voltage drop.